Dear friends – I’ve been busy launching my debut novel, and haven’t had a lot of time to blog. But I have been thinking a lot about comedy, and how crucial a form it can be to do cultural work and to ask important, uncomfortable questions. 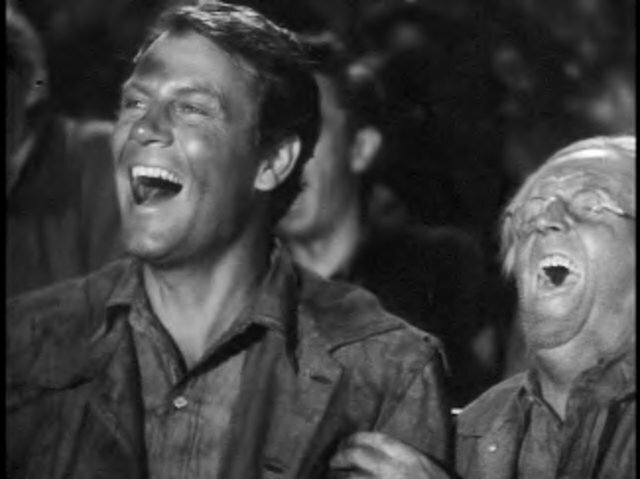 I used to love the 1942 film Sullivan’s Travels— Preston Sturges’ comedy about a successful Hollywood director who wants to at last make a film more serious than his famous films Hey Hey in the Hayloft and Ants in Your Pants of 1939. A lot of th e film is amazing. Sturges was a highly educated person, and the writing has a high style comedy of manners feel to it. But there’s a scene in the film that bothers me. 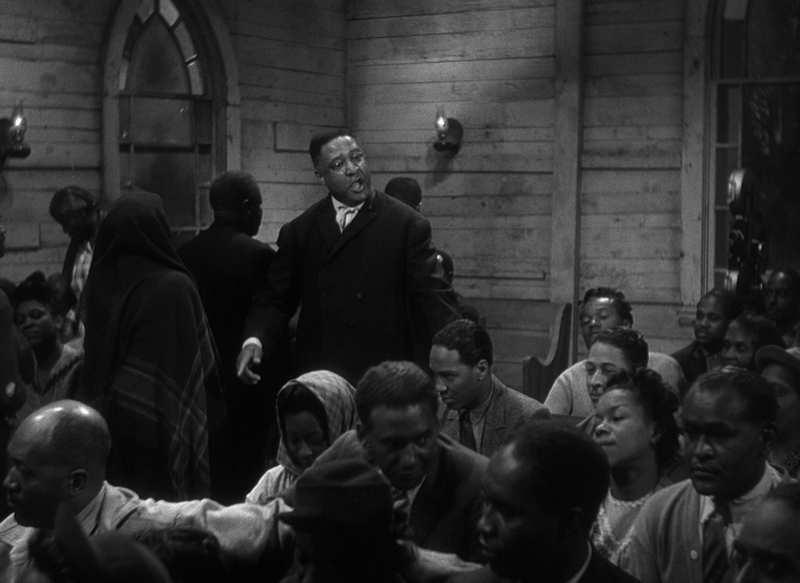 It happens about 2/3’s of the way through the movie when Sullivan gets mistakenly arrested and put on a chain-gang and the prisoners are invited to watch a movie in an African American Baptist church. Arguably it’s a positive that so many African American actors got parts and got paid to be actors in this movie. But, it’s disturbing that the African American actors depicted here serve as a backdrop for Sullivan’s self-understanding and epiphany. In this way the scene in the church veers quite closely to functioning as a “magical negros” scene — a space where black characters without history or interiority operate only in order to shore up the experiences and psychological development of white characters. What happens when the story of a successful commercial comic artist who wants to become “serious” gets switched from white to black? A lot, as it turns out. This is the premise of Top Five, Chris Rock’s 2014 movie. Andre Allen, played by Rock, has had a string of bestselling extremely silly movies where he plays Hammy, the gun-toting bear. Like Sullivan, Andre wants to make a “serious” film. Sullivan’s film project O Brother Where are Thou? never gets made. But UPRIZE — a film about the Haitian slave rebellion — does. There’s just one problem: no one wants to see it. There is some evidence that Andre’s film may be truly terrible. But the motivation behind Allen’s wish to “get serious” proves to be much more complicated than Sullivan’s. It is revealed that Allen is a recovering alcoholic, and he is terrified that he can’t be funny and stay sober. So, there’s a legitimate fear behind what he’s going through. And when Andre see his father in the projects, we also realize that the comedian is more vulnerable and more alone than Sullivan ever is. Elsewhere the film makes it clear that pressure on successful African American people is high. Allen’s reality star fiancée is under the gun to make her TV series work (as she points out in a great scene near the end of the movie), and Andre is shown to be the most successful person by far in his circle of family and friends. The cultural duress African American artists are under gets summed up beautifully and comically by Kevin Hart, who plays Andre’s agent. He complains about how he can’t use the n word to another black man even though he’s black, before running off to pay homage to Ben Stiller in another room. It’s a funny moment but it’s also pointed and disturbing. White ideology governs the industry, even though every major character in the movie is a person of color. With the result, there’s a seriousness to Top Five that makes it compelling and interesting. When Andre finds his way back to doing stand up, we cheer for him, but we also recognize that there is a certain danger to his realization and we wonder if he isn’t going to have to make another Hammy movie after all – if only to pay the bills. How far have African American cultural practitioners come, if black people and white people would rather watch Tyler Perry than learn about Haitian history? The movie doesn’t answer that question, but leaves us to wonder about our own tastes in entertainment and what kinds of stories all of us are willing to watch black people enact. 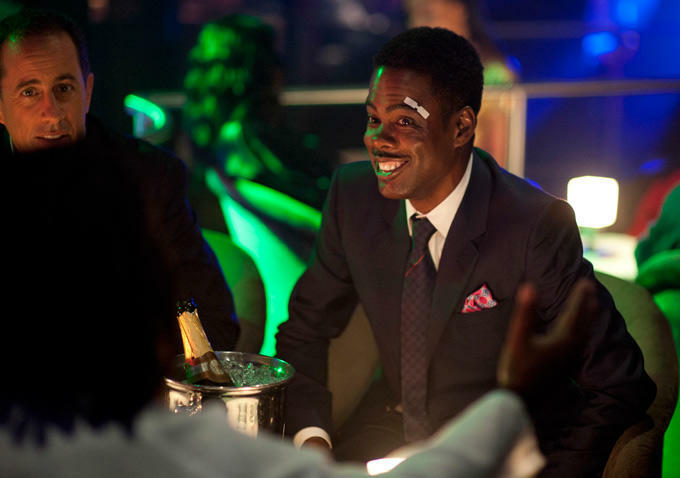 Chris Rock is also asking questions about his own success and what it means, and where he might go as an actor/director. Top Five in that sense metafictionally comments on itself; it does what it’s talking about. 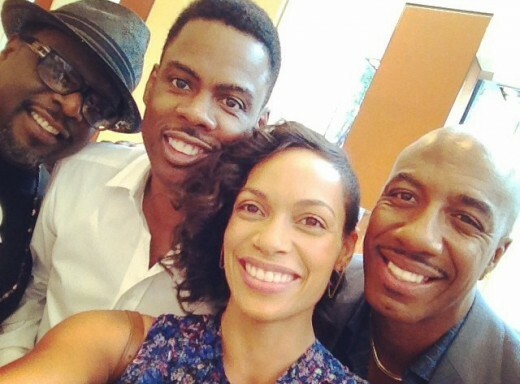 It’s a comedy that asks serious questions about what black actors can hope for and be in the 21st Century. It will be interesting to see how that journey unfolds.